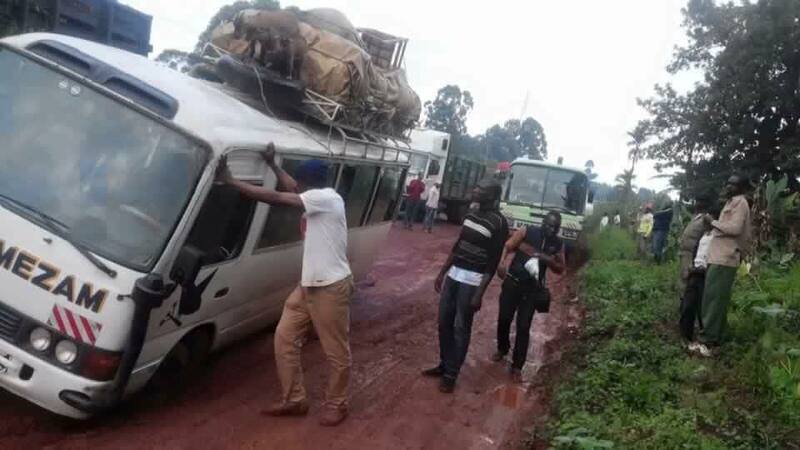 My Take On The Mbouda- Bamenda Road: Is Anger and Blame the Way Forward? 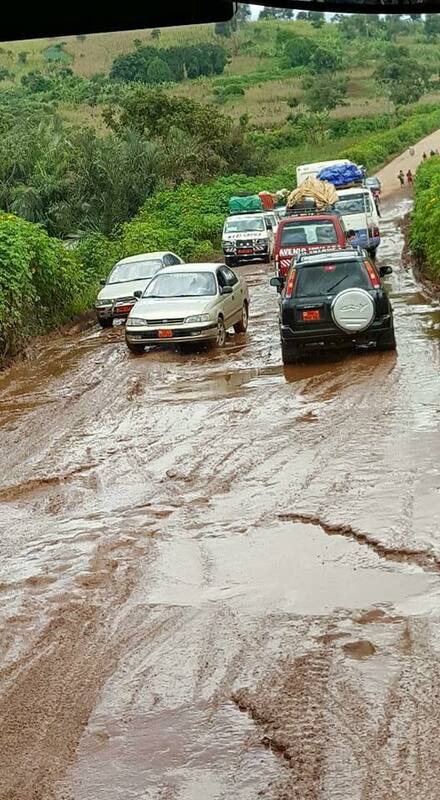 For the past week or so, Cameroonians around the globe have taken on to social media to decry the deplorable conditions of the roads linking major towns; specifically the Mbouda- Bamenda high way roads. It is an interesting development no doubt as, thanks to this, Cameroonians are like one man, raising their voices about situations they find unbearable affecting the country. A laudable step I must say, especially as it seems to make the powers that be stand on edge. However, before I join my voice in the protest, I have to keep emotions, anger and blame game aside and look at things objectively. To be sure, we don’t have that many good roads compared to other African Countries which is a shame, considering the viable position Cameroon holds in this Central African Region. 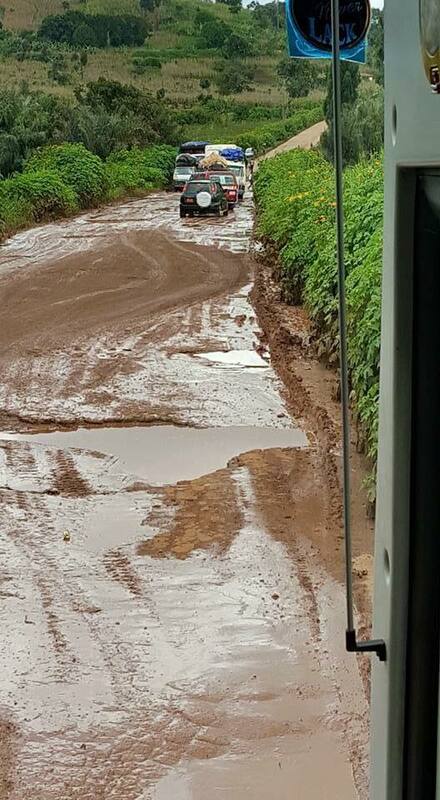 This lack of roads is a sore spot to many Cameroonians which is further aggravated by the fact that, the few available ones are poorly maintained, causing transportation difficulties to the citizens especially during the rainy seasons as can be noted from this Mbouda-Bamenda high way stretch. The importance of good roads to a country’s development cannot be over emphasised. This is because lack of roads makes some areas inaccessible for example rural areas, which are the backbone of the economy through their agricultural produces. These lack of roads also pose a threat to human life as accidents are rampant. Nevertheless, in a country where chaos seems to reign and ACCOUNTABILITY and TRANSPARENCY are next to nil, the absence of good roads is most often placed squarely at the feet of the powers thatbe. This Bamenda region according to history, was noted for its community development projects, thanks largely to the likes of the late John Ngu Foncha. Nowadays, community development is a thing of the distant past as people seek more to enrich themselves at the expense of their people afterall, at the end of the day, there is a permanent scapegoat to blame. It is because of this blame game and the perfect scape goat that money allotted for this road a scant few years ago, probably disappeared into private coffers with nobody breathing a word until the roads reached this stage and of course, our scapegoat is there to carry the blame. It is because of this blame game that the new emergency budget released over the national television, CRTV of about two billion francs yesterday would find its way into private coffers still and nobody would cough until the next rainy season when the blame game starts again. (Picture credits from Facebook pictures being circulated). It is easy to say due to this lack of accountability, people sold their values and principles like Dr Faust to the devil to such an extent that, they don’t even care about the ordinary citizens they are supposed to serve. It is also because of this lack of accountability that I would say may the consciences of the majority given responsibilities by the powers that be RIP! We are quick to say the Anglophones are marginalised since the roads to these regions leaves much to be desired; but we fail to realise that on the most, an Ewondo man would not be sent to construct the Mbouda – Bamenda highway. Contracts go to Multinationals who I believe, work with some key stakeholders from various regions they work in. So, while we are busy blaming the leaders, we should remember we owe it to our people to be accountable to them if not the leaders. We are the ones suffering. The powers that be will hardly ever pass through that road. It is a shame that a land that has produced most of the stalwart politicians of the ruling party and opposition, with two living prime ministers, one currently serving does not have a serviceable road. It is even more of a shame that people pay toll gate taxes but are never given an account of what happens to such taxes and yet, they bear with such deplorable roads year in year out. Of course the powers that be carry the bulk of the blame for the mess we find ourselves in today concerning such deplorable roads, especially for an emerging nation. The joie de la vivre life style of those looked upon as leaders have made many hunger for a slice of the national cake. What they forget is that they cannot have the cake and eat it too. Yes, the roads are deplorable which makes our hearts bleed and our heads hide in shame and we shudder at the thought of students returning to school ina few short weeks under suchcircumstances. Yes, the powers that be have to sit up and step up their game. And finally, yes, those given responsibilities have to wake up from slumber, refine their consciences and do their job well. If nothing else, they are still accountable to the people they are appointed to serve and to future generations. To an extent, we are all responsible for the mess we are in. Greed has taken over our land and the results are bitterness and frustrations. Only when we stop pointing accusing fingers, take an honest critical look at ourselves and look for ways to redress this situation difficult as it may seem, will we be able to take that great leap forward to resolving the issues plaguing us. Until then, we can only look, talk, sigh and repeat the oft quoted words ‘Cry the beloved Country’! Next COLD: Public Enemy Number One. Yes! You said it! I say no one should be complaining unless they are doing they’re bit to make the country a better place. Thanks for stopping by and yes, before we criticise, we should do our own little bit first!